The classic combination of wine and cheese has delighted people around the world for hundreds of years. Seven wineries in Santa Rosa and the Dry Creek Valley, located in Sonoma County, California, infuse passion into their pairings. 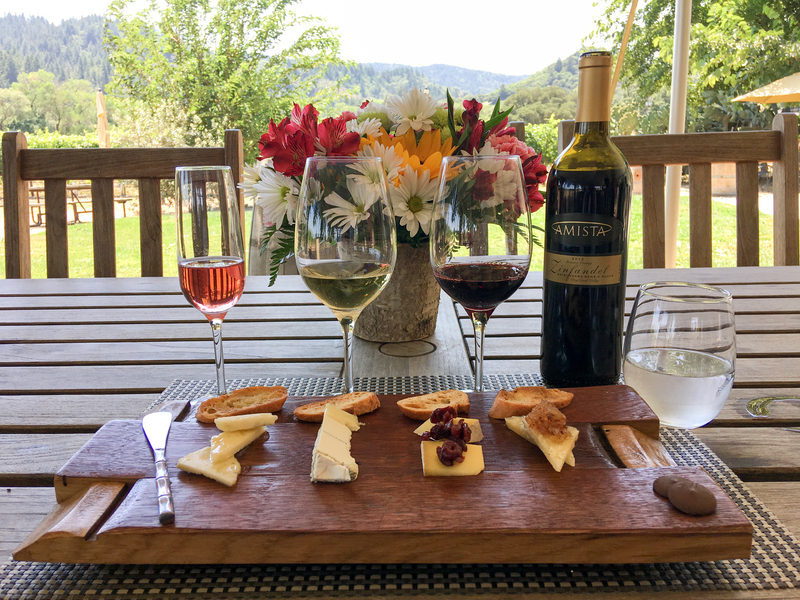 Treat yourself to luxurious pleasure by partaking in a spectacular marriage of wine and cheese at one of these wineries: St. Francis Winery & Vineyard, Paradise Ridge Winery, Matanzas Creek Winery, DeLoach Vineyards, Trattore Farms, Lambert Bridge Winery, and Amista Vineyards. The relationship between wine and cheese at each winery varies. Chefs and staff choose artisanal wines, mouth-watering local cheeses, and creative accompaniments with complementing or contrasting flavors in mind. A bad pairing can still make for an acceptable experience, but a great pairing draws attention to the intimate subtleties of both the wine and the cheese. Each winery has its own unique setting, feel, and personality. Whether it is a covered patio, an elegant tasting room or a deck overlooking spectacular scenery, the ambiance adds to the event. Wine tasting is fun; but adding cheese, creative accompaniments and a breathtaking setting elevates the event to a new level. Nestled up against Mt. Hood in Santa Rosa, California, is the St. Francis Winery & Vineyard. The eye-catching, mission-style visitor’s center, built in 1971, sits among fruitful vineyards. The landscaped grounds with manicured lawns and flowers punctuating the greenery with color further enhance the scenery at the vineyard. 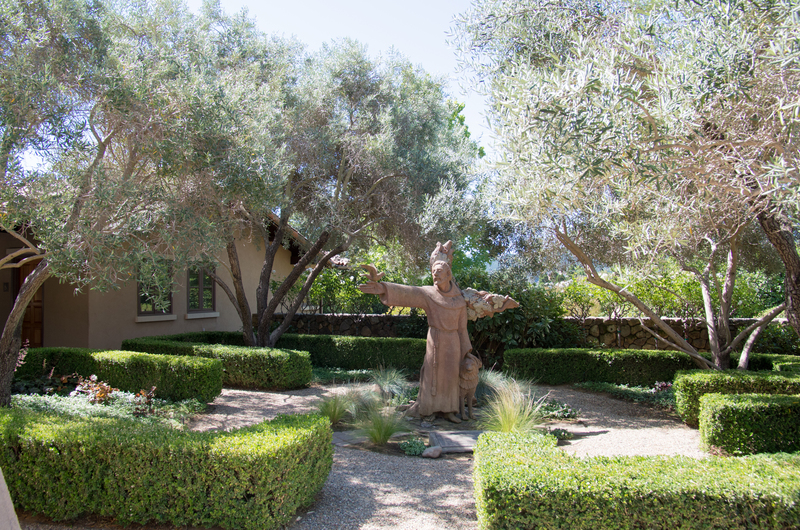 A large statue of St. Francis positioned front and center in one of the gardens initiates an atmosphere of serenity. 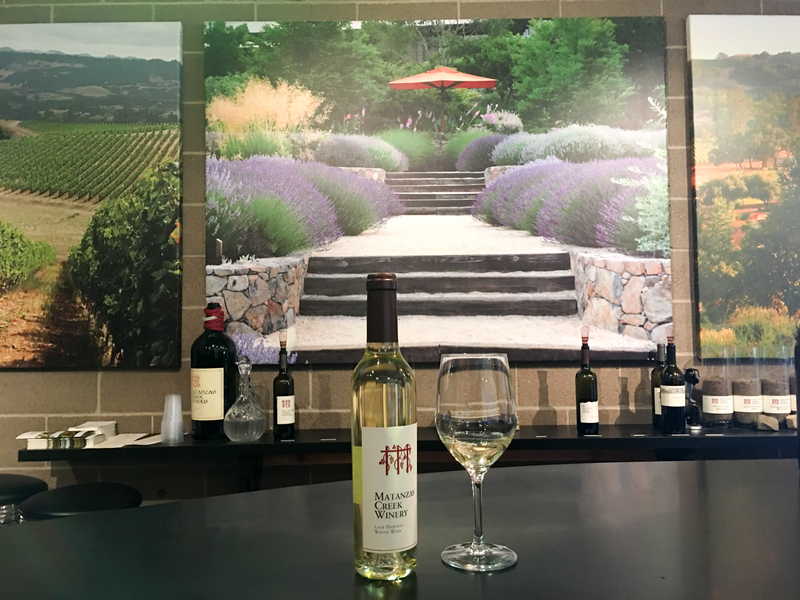 The visitor center extends outside onto a long patio overlooking the vineyards and the mountain, creating an ideal setting to enjoy wine and cheese. The winery opened its new tasting room and launched its wine and cheese pairing option for visitors in 2001. Executive Chef Bryan Jones selects local Sonoma County cheeses to pair with the winery’s artisan wines. The selection changes every few months based on available wines; and because the pairing takes place outside on the patio, it is a seasonal event. The winery hosts many events throughout the year, but summer days fill with outdoor weddings, meetings and movie nights on the lawn. 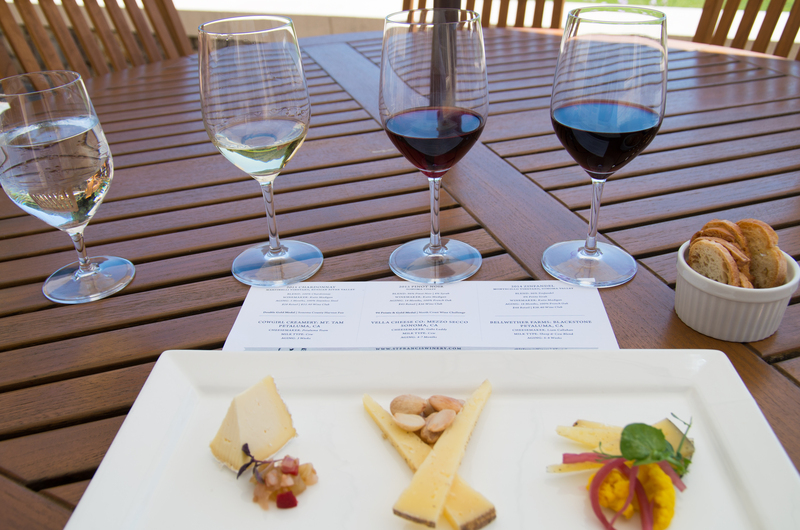 St. Francis Winery offers three tastings in their wine and cheese celebration. The 2015 Chardonnay from Martinelli Vineyard, Russian River Valley displayed notes of peach and melon. It paired well with Petaluma, California Cowgirl Creamery’s Mt. Tam triple cream cheese. The condiment of mild relish crafted from pickled green tomato, chili pepper and micro basil cut through the richness of the cheese. This combination began what continued to be a delectable tasting experience. Opened in 1994, Paradise Ridge Winery offers the sights, smells, and tastes of paradise. 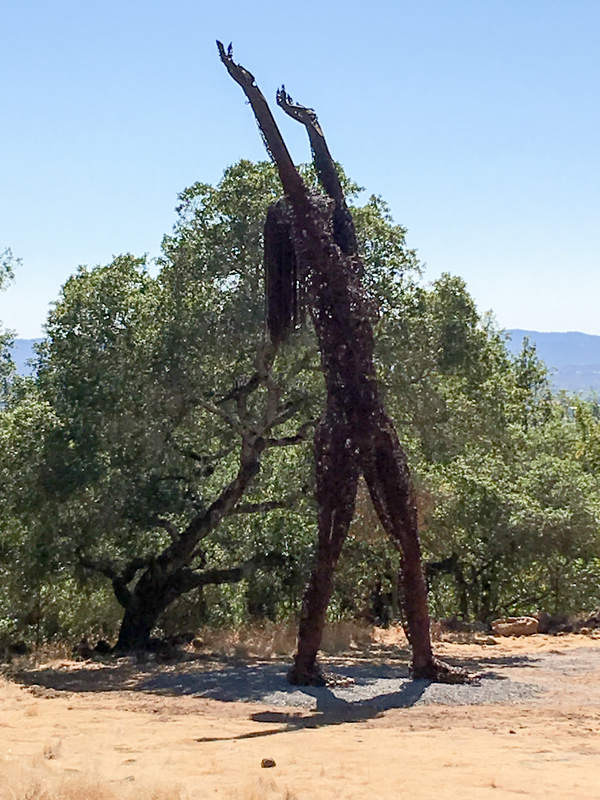 Guests freely wander on foot paths throughout the property to enjoy “galleries” with life-size sculptures. Choices abound for lingering. Enjoy wine in the California-style tasting room or gaze at panoramic views from the deck, terrace or one of the many verandas outside. Wednesday night Wine and Sunsets runs from May through October and features evenings full of music, food and wine. On Saturdays the winery partners with Worth Our Weight nonprofit, to help at-risk young people study the culinary industry. Students make pizzas on-site in a wood-fired oven and sell them to visitors. As a wedding venue, Paradise Ridge Winery won the “Best Place to get Married in Sonoma County” from Wedding Wire Couples’ Choice Awards. 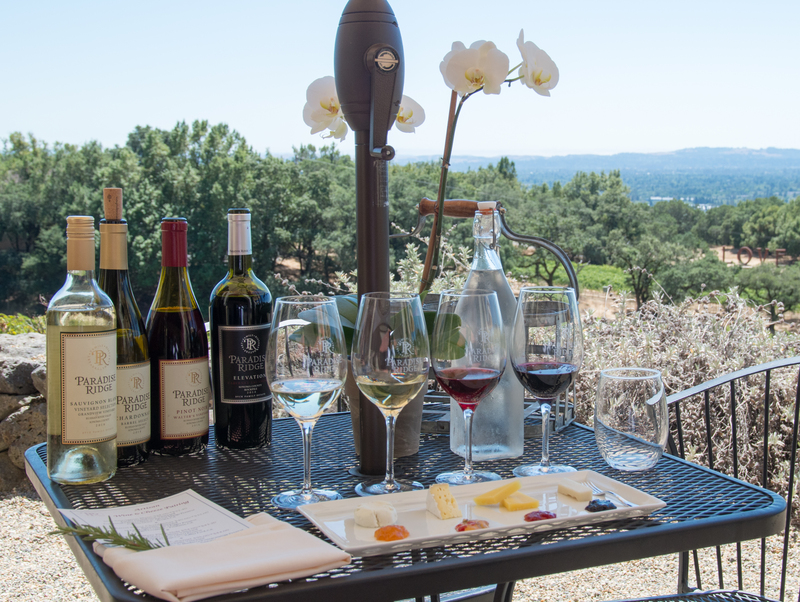 The perfect place for a tasting at Paradise Ridge is on the terrace overlooking the vineyards. The tasting combines four wines and cheeses with cleverly selected preserves as accompaniments. The very refreshing Estate Grandview Vineyard 2016 Sauvignon Blanc matched perfectly with the traditional chevre cheese from Cypress Grove. The light and crisp Sauvignon Blanc, highlighted with green apple notes, danced with the chevre, enhancing the citrus flavors, while the sweet apricot/mango preserve brought the bite into a flawless balance. Matanzas Creek Winery lies in the Bennett Valley. The winery opened in 1977, putting the valley on the Sonoma County wine map. Today the winery is known for its delicious wine and abundance of lavender. Lavender fields thrive on the property, adding to the scenic beauty and creating a lovely perfume in the air. Matanzas Creek is all about the experience. 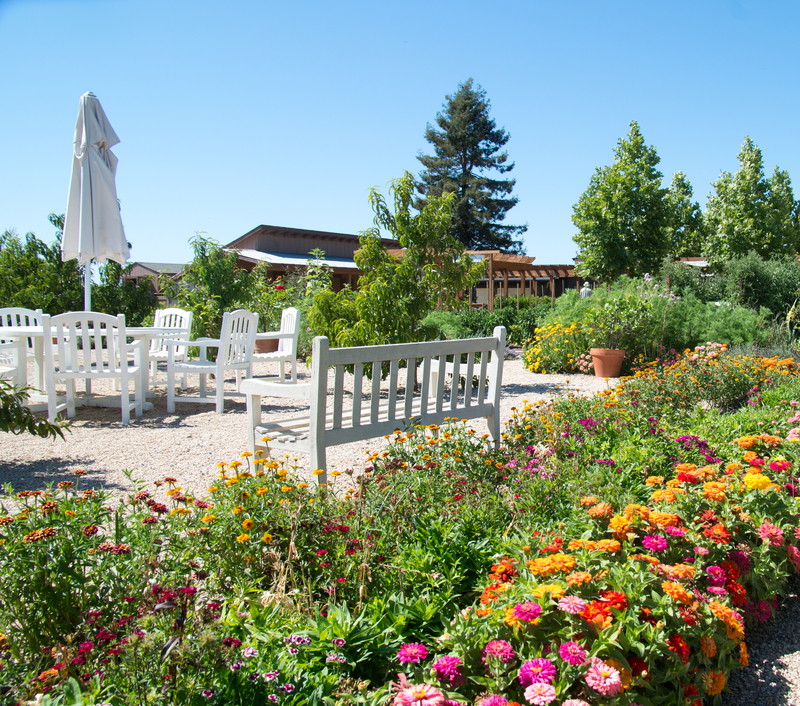 Whether enjoying a glass of wine in the tasting room, visiting the lavender store or barn or just sipping outside on the deck, guests enjoy savoring the moment under the old-growth oaks. 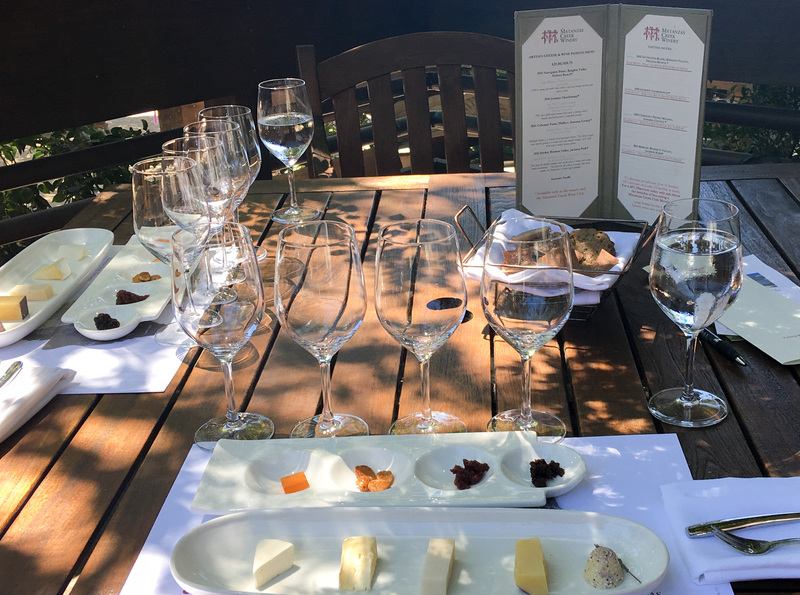 The wine and cheese pairing at the estate features limited-production wines and local artisan cheeses selected by the winemaker and staff. Matanzas’ tasting highlights four wine and cheese pairings accompanied by a variety of condiments: yuzu jelly, orange-and-honey-glazed Marcona almonds, dried-cherry-jam and a fig and caramelized onion marmalade. The sampling concludes with one of the estate’s decadent lavender truffles. The 2012 Merlot, Bennet Valley, Jackson Park, paired impeccably with an aged dried Jack with cocoa rind from Vella Cheese Company. The firm, crumbly and nutty cheese finished with a luscious creaminess. The merlot, concentrated with deep berry notes and conceived with great structure, held up against the cheddar cheese and fig-onion marmalade. DeLoach Vineyards is part of the Boisset collection of wineries owned and operated by Jean-Charles Boisset. 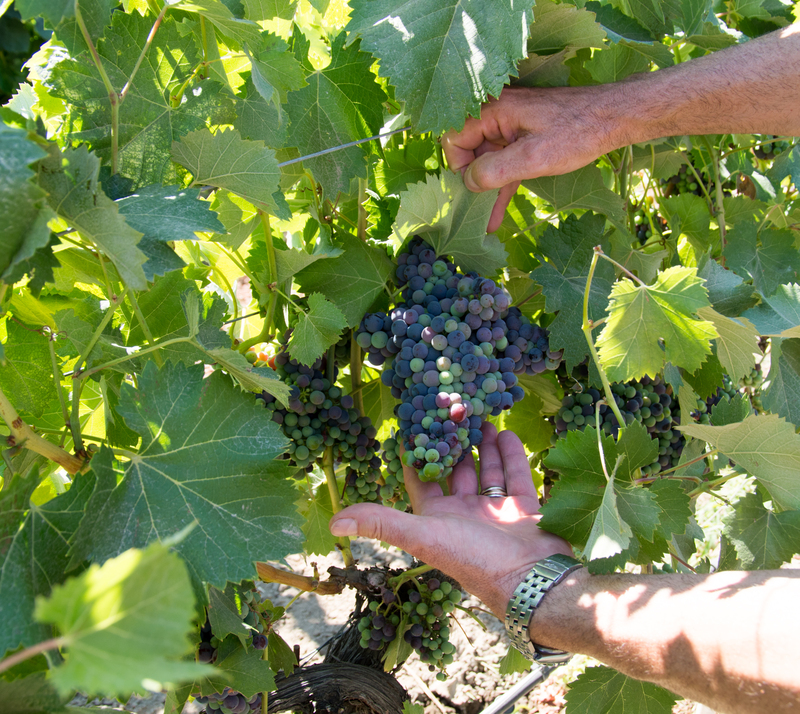 Launched in 1975, DeLoach Vineyards strives to be socially responsible and sensitive to the environment. Owners and staff use traditional Burgundian wine-making techniques and remain dedicated to the organic and biodynamic farming methods which they use at each of their estates. DeLoach hosts a variety of opportunities for sampling, from appellation and estate tastings to an event called “M.F.S. Winemakers” (My Finest Selection). Guests learn the subtle nuances and techniques for winemaking, blend their own combination and bring home a personally labeled bottle of their creation. Free to explore and lounge throughout the property, guests discover gardens with a variety of plants, flowers, herbs, vegetables and even beehives. The estate tour and tasting is a fantastic way to get an overall picture of the winery, grasp the owners’ dream and experience the exclusive estate wines paired with a delectable cheese plate. The estate tasting includes four wines and a lovely cheese plate with two cheeses, salami, crackers, nuts, dried fruit, olives and a delicious French mustard with basil. The 2013 Les Parcelles Cacheés Estate Pinot Noir paired wonderfully with the Mt. Tam Brie. The lilac aromas and tart red-fruit flavors leave a full-fruit finish in the mouth. Jim Bucher, farmer and tractor enthusiast, finally rejoiced when his dream came true with the opening of the new tasting room at Trattore Farms in October 2015. Situated on top of 40 acres of steep hillside in the Dry Creek Valley, this winery has views reminiscent of Tuscany, Italy. Geyser Peak and Mount St. Helena are to the east and the Dry Creek Valley lies to the west. 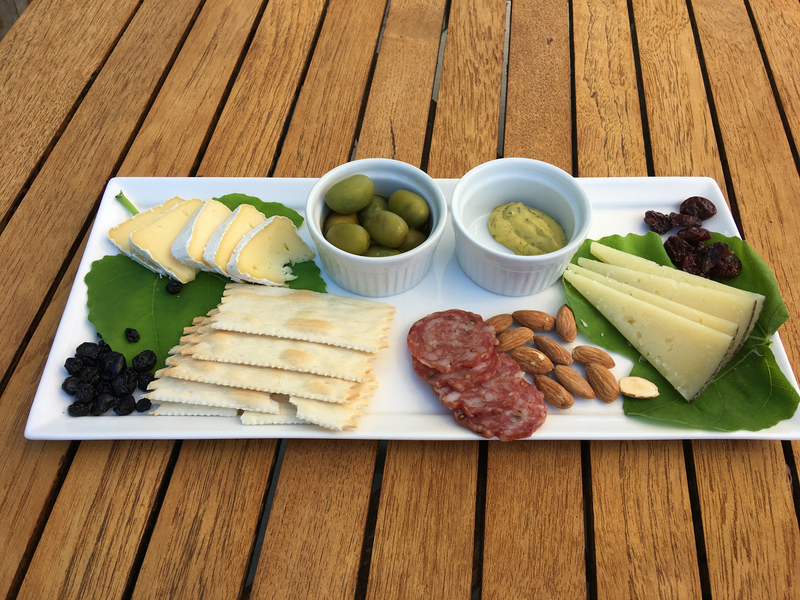 Settle in on the deck overlooking the view and indulge in a decadent cheese and charcuterie plate while appreciating wines similar to those from the Côtes du Rhône region of France. Viognier traditionally flaunts a dazzling fruit fragrance, and Trattore Farms Viognier did not disappoint. The 2016 Viognier with notes of guava, pineapple, honeysuckle, apricot and orange blossom exhibits a slight minerality and bright acidity. The crisp, slightly sweet wine paired perfectly with the prosciutto and salami from Zoe’s Meats. The Estero Gold Reserve nutty-sharp cheese from Valley Ford Cheese and Creamery and the Boho Belle from Bohemian Creamery contrasted with the nut and fruit crisps. The Dry Creek Mediterranean Olive Oil, preserves and mustard from Kozlowski Farms made delicious condiments. Take a tour at Trattore on their Kawasaki Mule to view the vineyard, orchard and olive oil mill. Trattore Farms produces and sells spectacular natural and flavored olive oils. 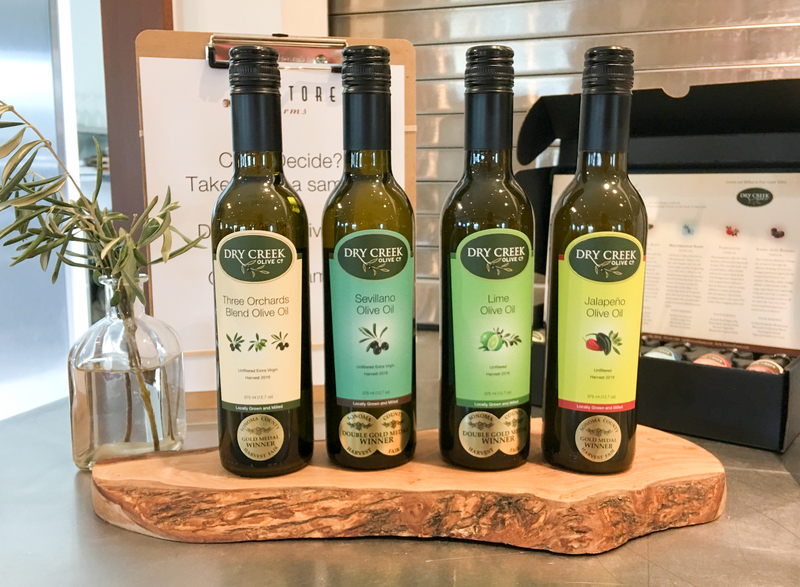 Using artisan approaches with modern technology and the best farming practices, these exquisite oils should be in every cook’s pantry. Enjoy a pizza on Sunday, cooked on the wood-fire stove and made from the winery’s pizza dough and olive oil, or order a grilled panini any day of the week. Lambert Bridge Winery is just west of Dry Creek in Sonoma County, California. The winery, purchased in 1993 by owners Ray and Patti Chambers, rests snuggled in amongst rolling vineyards and redwood-forested hills. Staff and owners work to build a reputation for creating the area’s finest small-lot wines. Winemaker Jennifer Higgins boasts full control over both the farming and wine making methods. 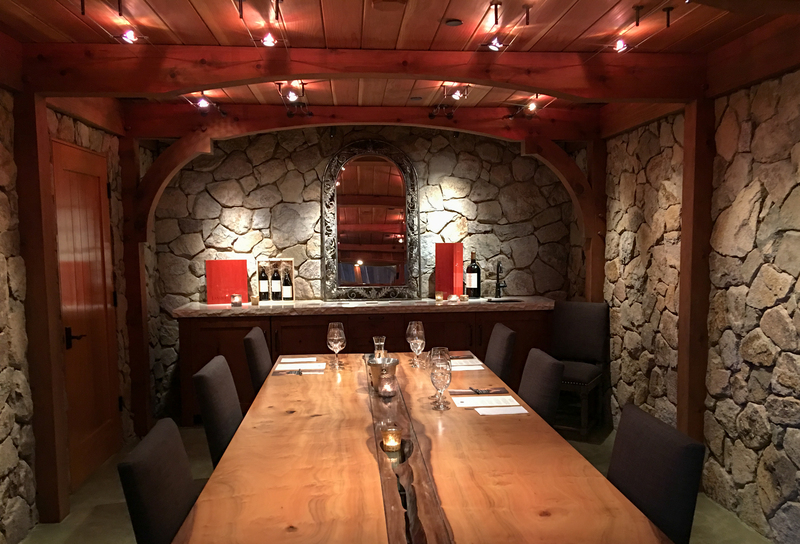 Picturesque gardens, intimate picnic areas and the vaulted redwood tasting room leave guests awestruck, but the rock wall and extensive burl table in the adjacent meeting room create an ambiance of elegance that is just perfect for appreciating and experiencing great wines. The winery’s sommelier poured the wines with an air of sophistication; a plate forged from black slate rested on the table with a selection of six delicious cheeses. The 2012 Cabernet Sauvignon, Sonoma County, finished with notes of cherry cola and vanilla bean. It paired lovingly with the Fiscalini Cheese Company’s cheddar, yielding an amazing combination. The dried cherries almonds, and crackers added to the delightful experience. Amista Vineyards is a dream come true for Vicky and Mike Farrow. Amista winemakers emphasize the fruit flavors in wines. Each April the winery participates in the Celebrate Passport to Dry Creek Valley®. This event promotes 45 wineries in the Valley, and notable chefs prepare wine and food pairings for participants to enjoy. Located in the Dry Creek Valley in Healdsburg, Amista offers a variety of flight tastings as well as wine and food pairings. Visitors relax and savor their tastings either inside the Tuscan-theme winery while snuggled up in comfortable chairs or outside under the tented seating area. The wine and cheese pairing includes four offerings. The 2014 Chardonnay, Estate Grown Morningsong Vineyards is lightly oaked with notes of pear and green apple and aromas of white peach. The balanced wine leaves a residual creaminess in the mouth, but has enough bright acidity to cut through its partner, Humboldt Fog from Cypress Grove. The tangy cheese finished with citrus notes. The 2012 Zinfandel, Gene’s Block Saini Farms, with fruit-forward berry notes and black cherry, blended magnificently with the Dry Monterey Jack from Vella Cheese Company. The accompanying maple bacon jam made the bite exquisite. Pairing is not an exact science but often more of an art. Choosing each element carefully ensures that the tiniest nuances of the wine, cheese and condiment shine independently–and that the combination blends together seamlessly, creating a lavish explosion of taste with each bite. Proud and enthusiastic staff at these seven wineries excitedly share the unique distinctions of their wineries, wines and pairings. 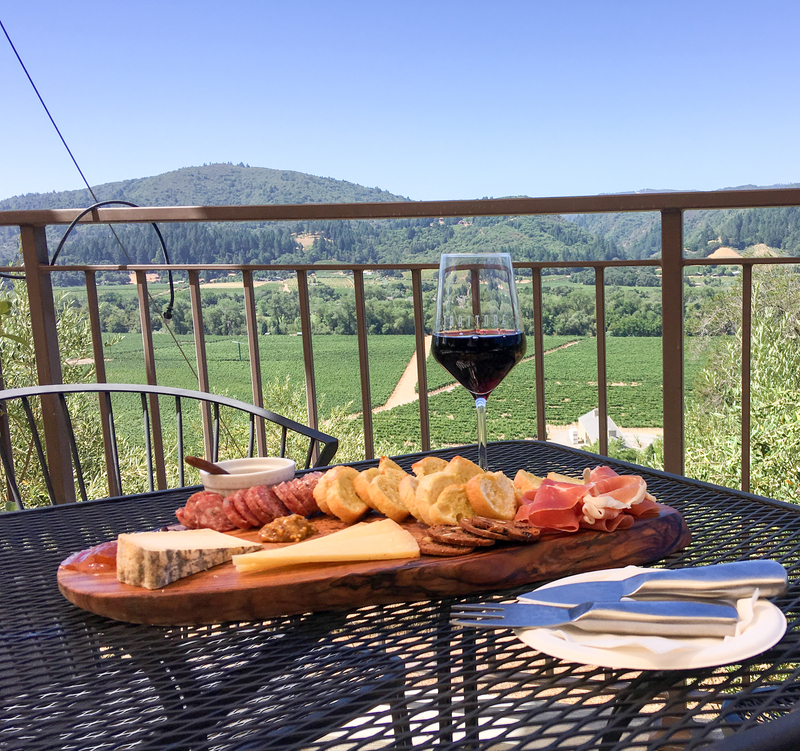 Visit Santa Rosa and Dry Creek Valley to satisfy your wine and cheese cravings.